Even though it’s super rewarding to see my quilt blocks flat and finished, I’ll be honest. Ironing and pressing is probably my least favorite part of quilting. 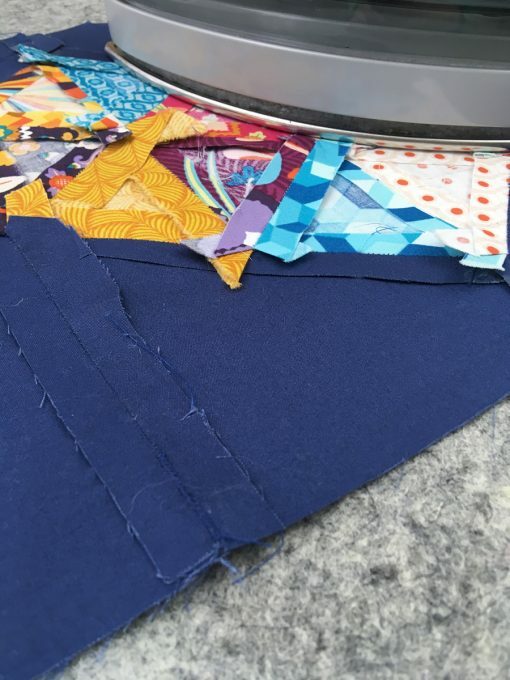 I’m always looking for tools and tricks that make this part of my quilting life easier. I also tend to iron and press while streaming a movie to keep me motivated (and slightly distracted). 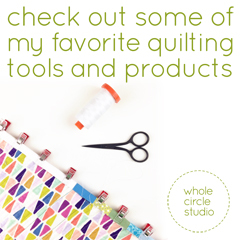 Last year, I met Jon, the owner of Precision Quilting Tools at International Quilt Market. After chatting with him and getting a demonstration, he asked if I would like to take home one of their wool pressing mats in exchange for an honest review. All reviews that I give are my own opinions and I write all of my own posts. I only recommend products that I love, use and trust. I’ve had a couple of months with my wool pressing mat and I enjoy using it. The process of ironing and pressing hasn’t suddenly become a magical experience, but this mat does make this part of my life a bit easier. 1. You can press anywhere with it. 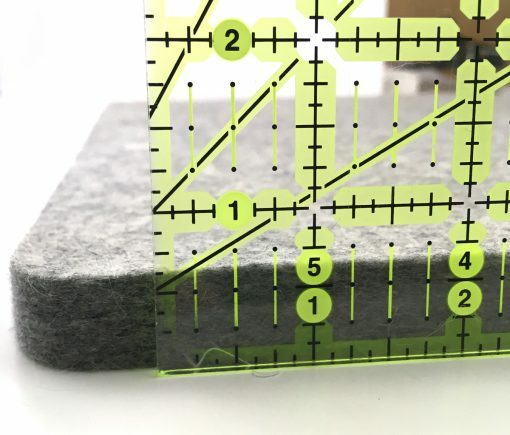 The mat measures a little bit over 1/2″ thick so you can place it on any surface and not worry about the heat transferring to your tabletop. 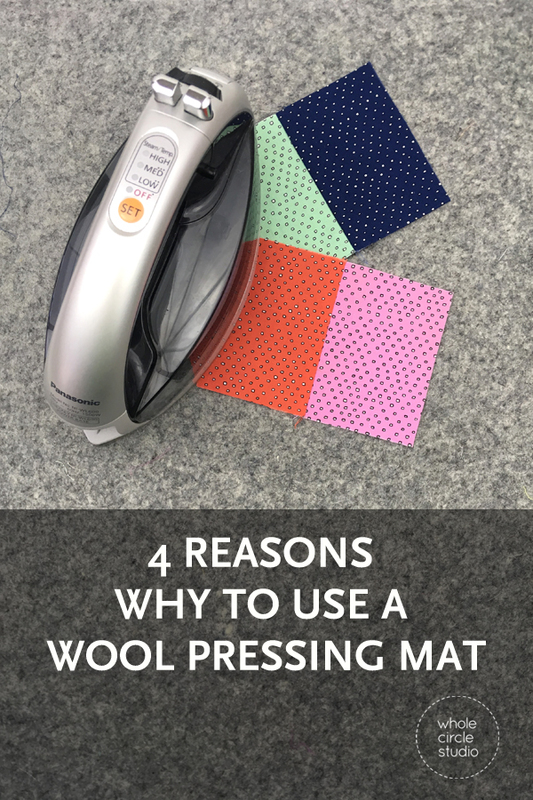 Looking to have a pressing surface next to your sewing machine to be more efficient? This is perfect! 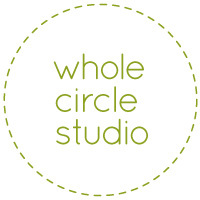 I can also envision quilters bringing the mat to workshops or retreats. The mat is also very lightweight, making it travel-friendly! 2. It allows for efficient pressing. 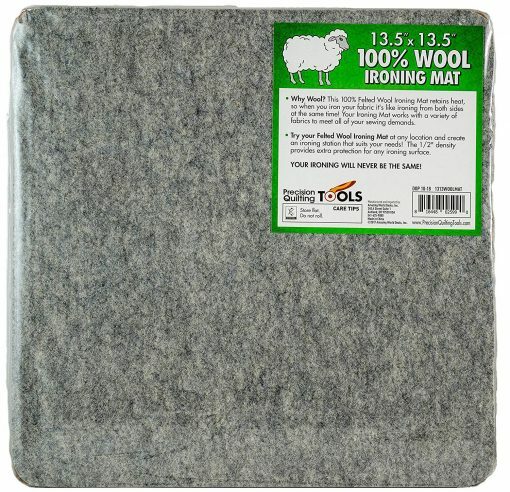 The heat from your iron absorbs into to wool, so when using the mat it’s like you are pressing from both sides of your fabric. This is especially helpful when foundation paper piecing since you can’t press from the paper side of your piecing. I do find that I can flatten my seams and fabric slightly faster when using the mat. 3. It helps keep your blocks stable. The wool is smooth but the natural fibers grip your fabric so your block won’t slip and slide while you’re pressing. This allows your block to stay put so stretching of your fabric and seams while pressing is minimized. 4. It is made of natural materials. 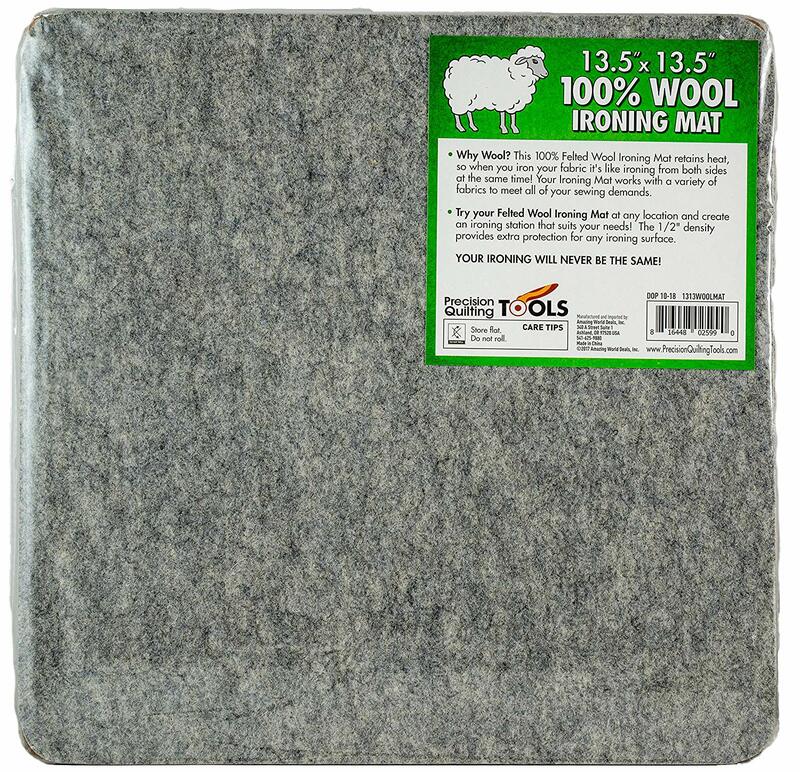 The Wool Pressing Mat from Precision Quilting Tools is made from 100% Wool from New Zealand. The felted wool feels really good. The mat has a dense, firm surface but has a little bit of give to it. Occasionally I notice a slight wool smell while it is warm. Some quilters have compared it to wool socks coming out of the clothes dryer. I would agree. I kind of like the smell and while I’m sensitive to some smells, it’s not overwhelming for me. Interested in trying it for yourself? Precision Quilting Tools offers their wool pressing mat in 3 sizes: 9″ x 9″, 17″ x 17″ and 17″ x 24″. They also offer a 100% Money Back Guarantee and will refund your order if you’re unsatisfied with the mat. What do you think? Have you used a wool pressing mat? Do you have any other tools that make pressing and ironing easier? 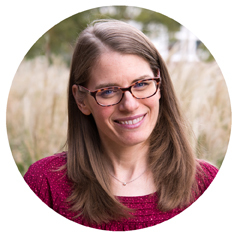 I want to hear from you. Please leave a question or comment below! I use the 17×24 purchased from Precision Quilting and love it so much I considered getting a second one to nest up against it and double my pressing surface. 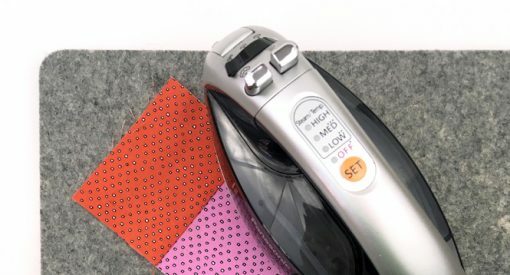 What brand iron is pictured? Adore my wool mat for all the reasons in your review. I got my first wool mat at the Grand Rapids AQS last summer. I love it. It is so flexible, move it where you want and it truly makes for a flatter block. Love this pressing mat! Being able to press anywhere is so convenient. And yes, it’s perfect for retreats.